The Ramada Vineland is located off Route 55 at Exit 32A. This South Jersey hotel is minutes away from Vineland Industrial Park, South Jersey Regional Medical Center, General Mills, Wheaton Village and Millville's Art District. This Vineland Hotel is South of Philadelphia and Camden area and just a half an hour from most Jersey Shore points...Atlantic City, Wildwood, Cape May and Ocean City. 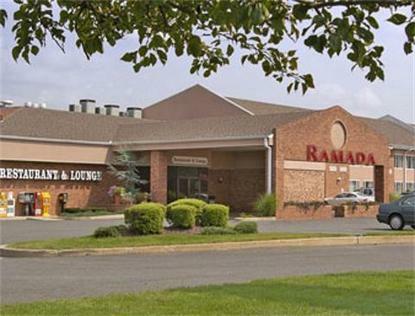 The Ramada Vineland features a Coffee Shoppe, Continental Room (Fine Dining), Harry's Lounge, Business Center, Fitness Room, Outdoor Pool &amp Patio, Banquet and Meeting Facilities. All Rooms Feature Coffee maker, Hairdryer, Iron and Ironing Board, TV with over 70 Cable Stations with Free HBO.